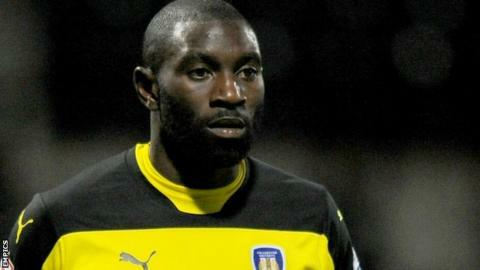 Jabo Ibehre scored on his Carlisle United debut to secure a battling point at Mansfield Town. The hosts had taken the lead as Malvind Benning opened his account for the season with a long-range free-kick. After Jason Kennedy went close for the Cumbrians, Ibehre slotted home well from Derek Asamoah's pass. The Stags pushed forward in the closing stages, with Chris Clements and Adi Yussuf both going close as they tried to find a late winner. Match ends, Mansfield Town 1, Carlisle United 1. Second Half ends, Mansfield Town 1, Carlisle United 1. Corner, Mansfield Town. Conceded by Jason Kennedy. Attempt missed. Adi Yussuf (Mansfield Town) left footed shot from the centre of the box misses to the left. Attempt missed. Jabo Ibehre (Carlisle United) right footed shot from the left side of the box is too high. Substitution, Mansfield Town. Jack Thomas replaces Mitch Rose. Attempt missed. Kevin Osei (Carlisle United) left footed shot from outside the box misses to the right. Substitution, Mansfield Town. Craig Westcarr replaces Reggie Lambe. Attempt saved. Reggie Lambe (Mansfield Town) right footed shot from the centre of the box is saved in the centre of the goal. Attempt blocked. Chris Clements (Mansfield Town) right footed shot from outside the box is blocked. Substitution, Carlisle United. Kevin Osei replaces Derek Asamoah. Corner, Carlisle United. Conceded by Mitch Rose. Attempt blocked. Bastien Héry (Carlisle United) right footed shot from outside the box is blocked. Substitution, Mansfield Town. Adi Yussuf replaces Nathan Thomas. Substitution, Carlisle United. Angelo Balanta replaces Patrick Brough. Attempt missed. Chris Clements (Mansfield Town) right footed shot from outside the box is too high. Corner, Mansfield Town. Conceded by Luke Joyce. Attempt missed. Tom Miller (Carlisle United) header from the centre of the box is too high. Corner, Carlisle United. Conceded by Scott Shearer. Attempt blocked. Nathan Thomas (Mansfield Town) left footed shot from the centre of the box is blocked. Corner, Mansfield Town. Conceded by Tom Miller. Corner, Carlisle United. Conceded by Ryan Tafazolli.